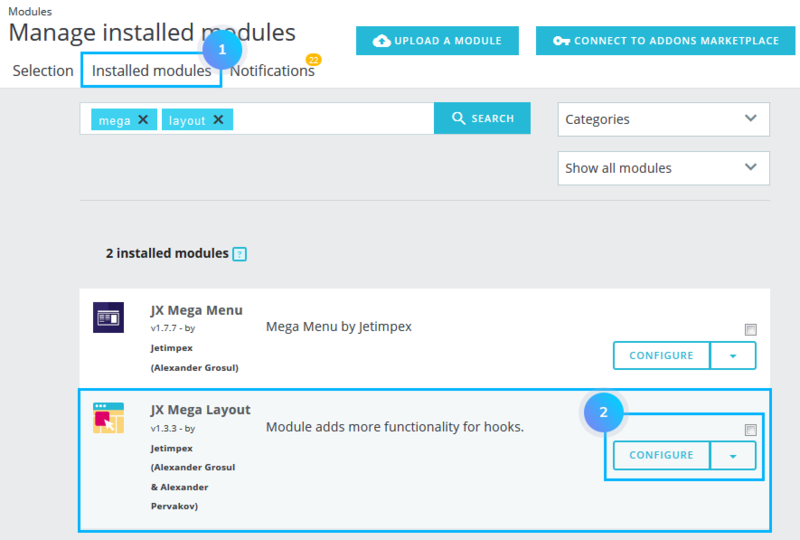 “JX Mega Layout” module allows organizing your content, creating custom layouts and displaying them on the site. 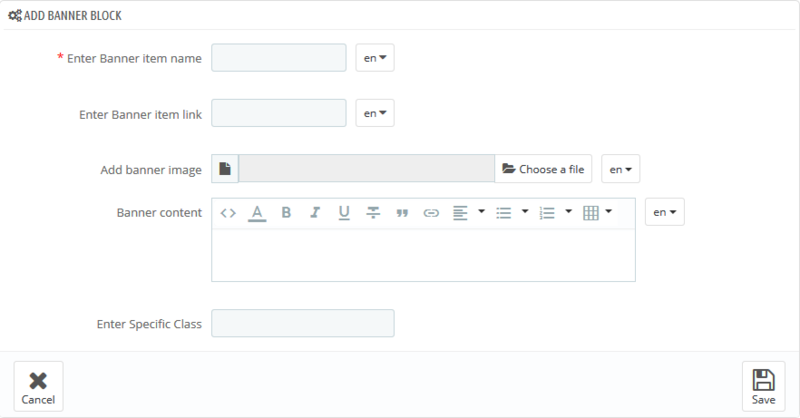 From now, on the module base there is a new opportunity to create and place extra custom content, whether it HTML, Banner, Youtube or Slider blocks content types. In your PrestaShop admin panel go to Modules -> Modules and Services section. In the Search field type JX Mega Layout to find the module. Then, click the Configure button to manage the module. To add extra content, open the Tools tab at the top and choose Extra content. 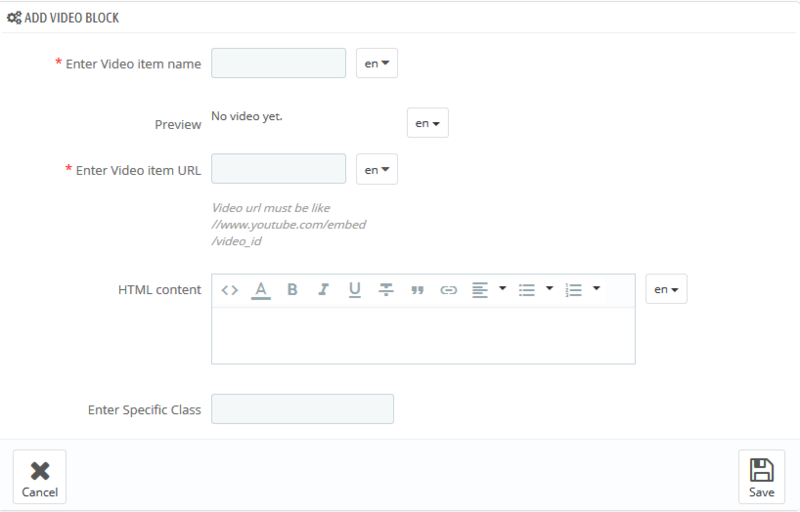 You can see here four available types of content that can be added: extra HTML, extra Banner, extra Video, extra Slider. In order to create any extra content, click green Add content button. To create extra HTML content, click Create HTML block tab. You need to fill in the form that appears with the necessary content and Save the changes. If you want to create Banner content, click Create Banner block tab respectively. Fill in the form with the custom text. The same way you can create Video Block, by clicking the appropriate button and filling in the form. 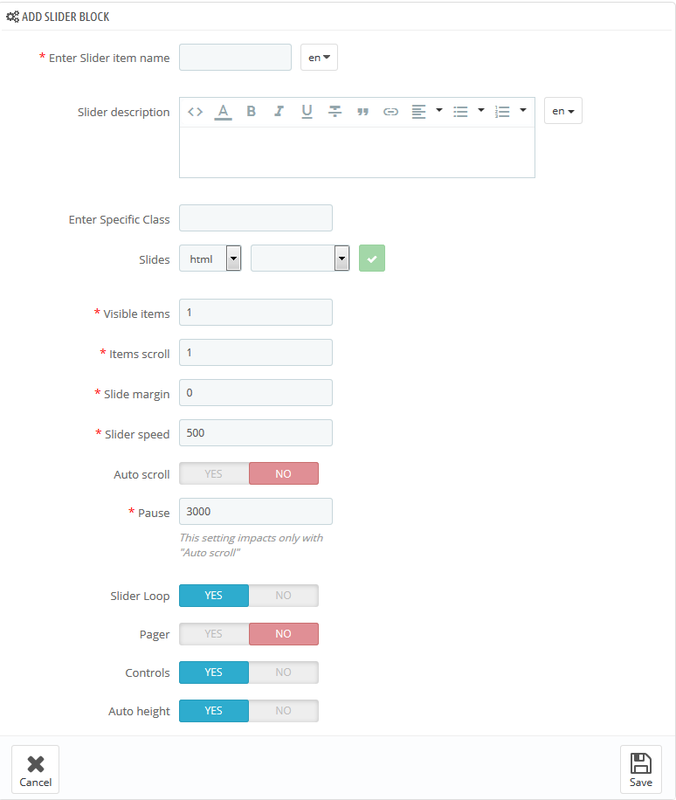 To add extra Slider content, click Сreate Slider block tab and fill in the form that appeared. Hopefully, this tutorial was helpful for you.